Blog: http://the-master-craftsman.blogspot.com - our latest news! 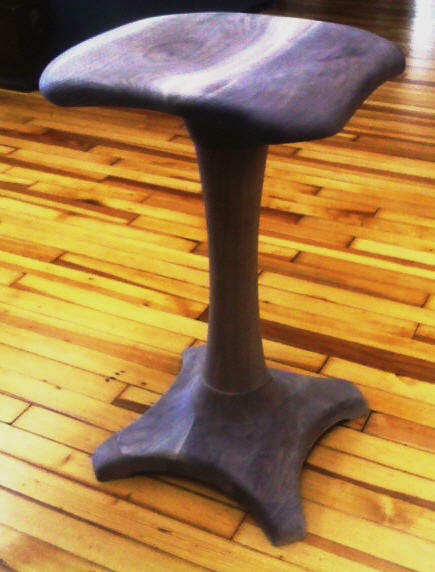 Pictured above, left: this unfinished, ergonomically correct stool is made from rich walnut. 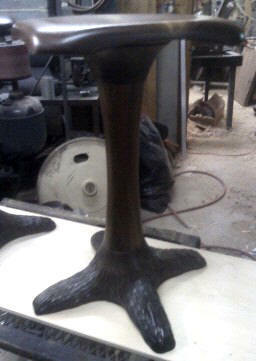 The wood grain will turn a deep warm brown once it receives a few coats of lacquer. The seat measures 15 inches square. Pictured above, right: one of the beautifully finished stools. Note the base Roger carved to look like tree bark. May special order the complete stool or just the contoured seat. A variety of woods and finishes are available.